You often hear about Google's 200+ ever changing ranking factors and the challenges these present to SEOs, business owners and marketing professionals. Personally I think talking about all 200+ factors is overkill. I believe for a lot of businesses real results can be found by managing just 22. With commentary from industry leaders from at HubSpot, Kissmetrics, Go Compare and eBuyer to name a few , unless you plan to be an SEO guru, this is the only Google ranking factors list you'll ever need to read! Many people talk about Google’s 200+ ranking factors and when they do this I unfortunately believe a lot of people do it to make their job sound more complex than it really is or to create a mystique around the SEO industry to protect themselves. I really hate these things about the SEO industry so in an effort to make it more transparent I have narrowed the ranking factors down to 22 you really need to know and split these by link based factors and on-site factors. To help you even more I reached out to a handful of industry experts who have provided us their exclusive comments, look out for these throughout the piece! Page authority is a metric from SEO software company Moz which scores the strength of a page on a scale from 1 to 100. It is important because it predicts how well a page will perform in Google, allowing you to directly compare your page with a competitor’s page. You can check your page authority on Open Site Explorer from Moz. Domain authority is the strength of your whole website (unlike Page authority above which is a metric for an individual web page) in the eyes of search engines. Sites with higher domain authority are able to rank easier for competitive queries. That's why you see sites such as Wikipedia, Amazon and eBay for a lot of searches you make, even if they are not the most relevant. Your domain authority is influenced by the volume, quality and relevance of links pointing into your website which we will now look at. A link, in SEO terms, is one website links to another and, no matter what you read elsewhere, links are still essential to rankings. The pure number of links pointing to your website is a big part of where you rank and the amount of organic traffic you attract, with one huge caveat. Today, quality links are very beneficial whereas poor links count against you (more on this point later). When trying to earn links you need to ensure that link volume is taken into account but never at the expense of quality. 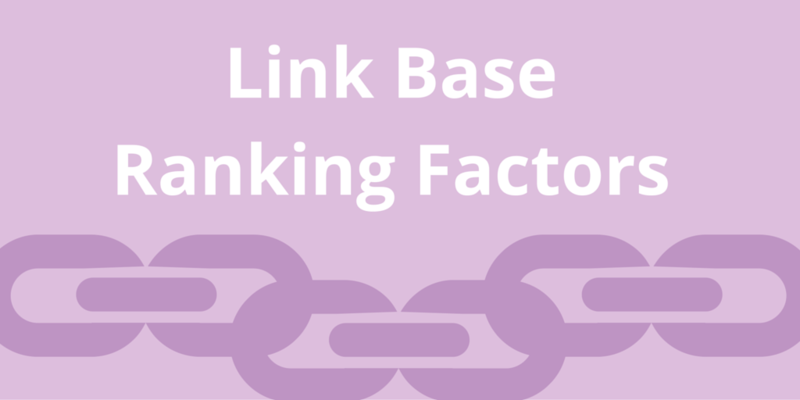 Whilst talking about link quantity, it's important to differentiate the number of links from number of unique links. When referring to unique links here we are talking about links from different websites (or domains). This is because every time you get a link from a website you already have a link from the 'power' awarded to each subsequent link is reduced. To receive the maximum benefits from quality links, you will need to earn a varied link profile featuring unique websites. I would argue that of all the link factors I have mentioned so far - this is the most important. 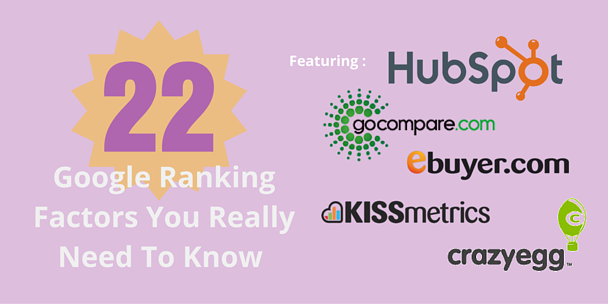 Earning links from reputable sources is key to ranking highly in competitive industries. 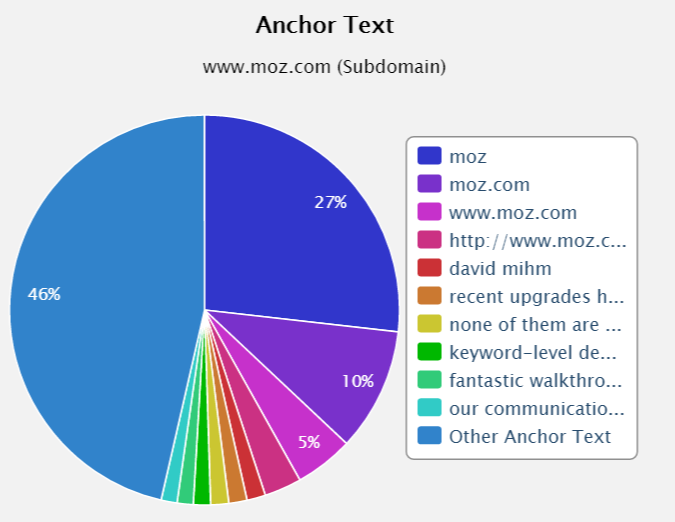 Quality of links certainly wins over pure volume, and that isn't going to change. If you can't invest much time outreaching to lots of different people with good authority - spend your time pitching to one or two with excellent authority, but remember that these sites will get dozens of requests for links everyday so make your proposition unique and beneficial to both parties. What's more, taking this approach will safeguard your business by ensuring you don't get penalised. 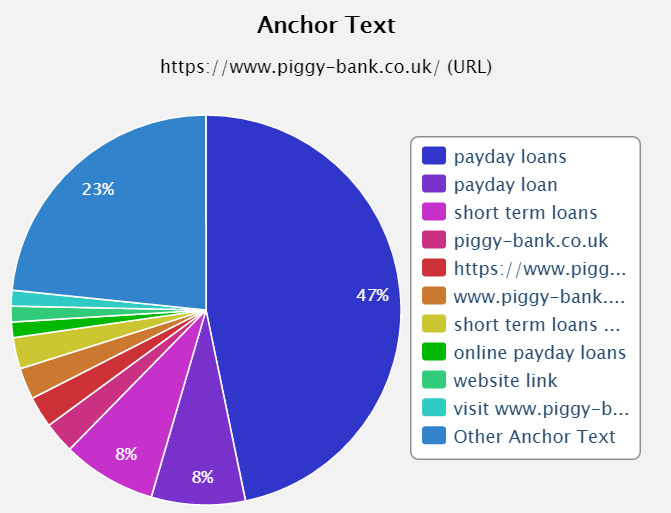 The relevancy of the links you earn play a big part on how you rank. Assuming two links are equal in terms of quality and authority a link from a website which is related to your niche or target keyword will help more. This is because Google is getting smarter at understanding the context of a website, not just the words on the page, so it can now figure out if the website linking to you is from a related source or not, and they give extra weighting to links which are. "... so now you know about all the marketing options available to you. If you think inbound is the best option for you click here to learn more about inbound marketing." "... so now you know about all the marketing options available to you. If you think inbound is the best option for you read our resource; what is inbound marketing." As you can see the profile is predominantly brand related and has very high diversity. We have spoke a lot about the benefits links can have but it's worth noting that links can do damage as well. If you try and 'game' Google by building links in an automated or spammy way (such as blog commenting, SEO directories or building link networks) you will be penalised. That's why we call the process link earning and not link building - you need to put value out to the web to attract links to you, rather than artificially building them. It's a basic one but very important! It may sound obvious but you're only going to rank for a keyword if the page is relevant to the query the user is searching. Google does this for a reason - if the content on page doesn't exactly match what the searcher expects to see, the page isn't going to help the user. This creates a bad searching experience which Google wants to discourage. Don't forget that chasing a high rank with irrelevant content and keywords will not help you in the long run so it's best to avoid it all together. 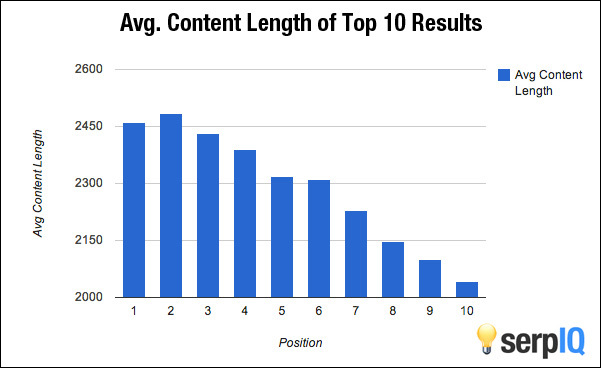 Google is less likely to rank a page well if the content has been produced and published elsewhere. This is to stop people benefiting from other peoples work. "When you take a look at the front page of Google you'll notice lots of different things. You'll see images, videos, tweets, news stories, old articles from the 90's and sometimes even live results or details (think about the weather...). When someone uses Google they are trying to solve a problem that they have. Google wants to show its customers a variety of different solutions in the hope that one of them helps them in a genuine way. As a content producer you need to be mindful of this thinking. Jump on Google and do a few searches for your target key phrases and see what is appearing on the front page, and then think to yourself: "How can I add something different or better to this mix?". Sometimes you can create a new tool, graphic or create a piece of massive long-form content that improves on everything out there. 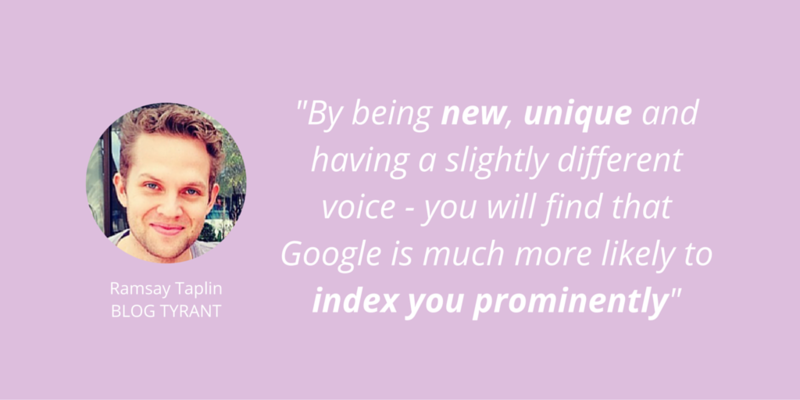 By being new, unique and having a slightly different voice you will find that Google is much more likely to index you prominently - and sometimes that is simply because more people are linking to you as a solid resource." 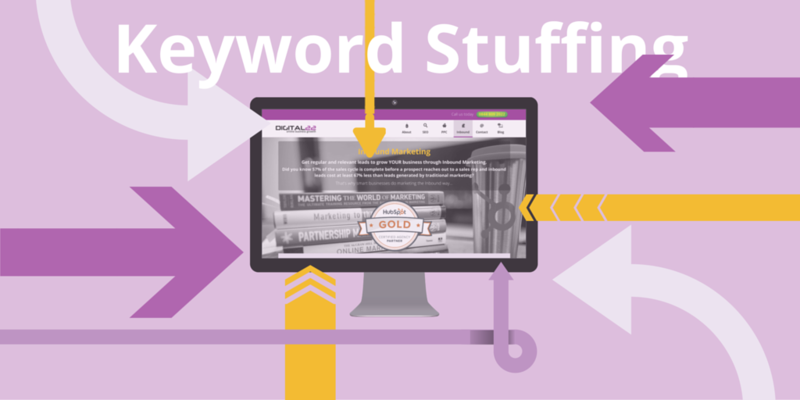 Not only are relevant keywords important in your title tags, they need to be part of your page content too. Sound like common sense? That's because it is. By having keywords about genuine services you offer or products you sell, Google can understand why that particular page exists and if it is a suitable page to be returned in search results. Google is getting much smarter at understanding the context of a page so spread your bets by making sure you include keyword variations. Once again - this isn't SEO wizardry and should happen naturally if your keyword targeting and page content match. Don't force keywords into your page where they don't fit or it will ruin the visitor experience. Now, don' take the wrong message from this and think you need to go away and make all your pages 2,500 words so you rank #1. The above data can quite reasonably be attributed to the idea that the articles that tip over the 2,000 word mark are more likely to be in depth, useful and well researched topics that offer the user honest and actionable insight. Use this correlation data as motivation to make your pages as detailed and helpful to users as possible, just don't waffle on for the sake of word count! Mobile friendly is a term which is used to describe websites which provide users on mobile devices a great experience. Due to the rapid rise in the amount of people accessing the web from mobile devices Google decided that it would be a good idea to make the mobile friendly test a ranking signal. "Every year users are spending more and more time on their mobile devices, but many sites are still not able to support a world of multiple screen sizes and slower connections. 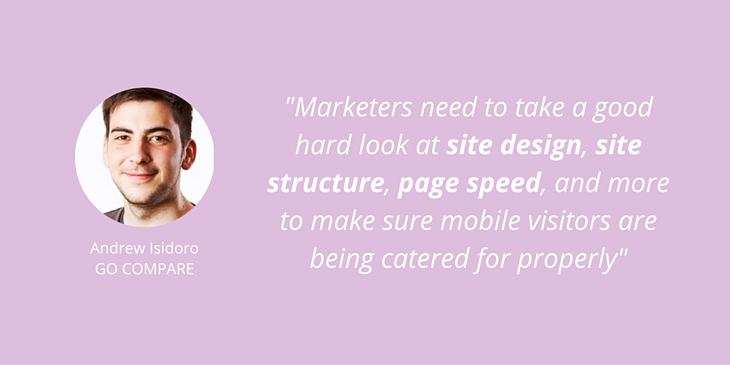 Marketers need to take a good hard look at site design, site structure, page speed, and more to make sure mobile visitors are being catered for properly. Google's Mobile-Friendliness tool will give you a 'yes' or 'no' answer on a per-URL basis and can guide you on how to improve your site. Google's Webmaster tools can highlight issues with individual pages to be fixed but it's always worth testing at a local device lab to check across multiple devices." Load speed is a measure of how fast your web pages load. It has been deemed a ranking factor by Google as load speed directly effects the experience a user has. Today, no one expects to wait for a website to load. In fact, 25% of people give up on a website if it loads slower than 4 seconds! Google have a page speed test available for free which also gives information about how to improve the speed as well. Alternatively the Website Grader will measure your sites speed as well as other factors contributing to the overall strength of the site. Many of the factors in this list focus on the emotions and attitudes people have towards a website, this is called user experience and is key to modern SEO. 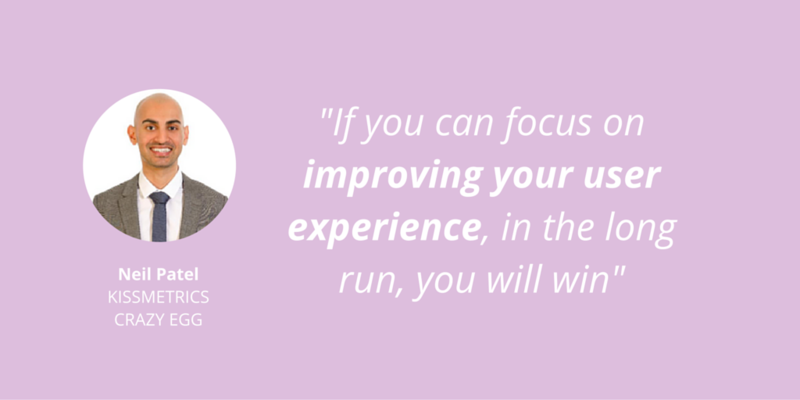 You can gauge the success of your user experience, not just through your rankings, traffic and sales but through user metrics. These can be found in Google Analytics and include metrics such as time on site (how long the average person stays on the website) and bounce rate (how many people leave without taking a further action). “User experience is one of the most neglected elements of SEO but is becoming more and more powerful for ranking well in the search engines. 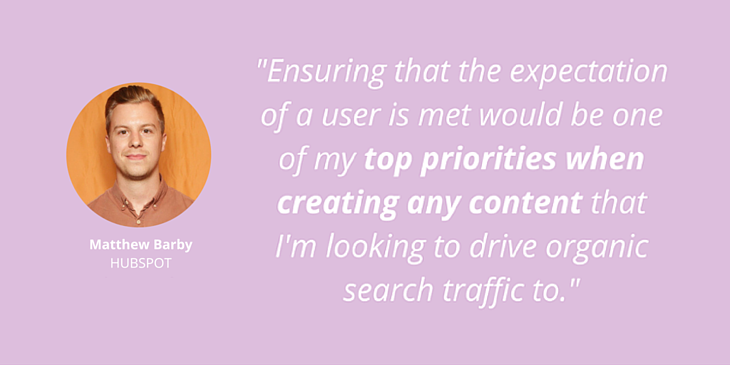 Ensuring that the expectation of a user is met would be one of my top priorities when creating any content that I'm looking to drive organic search traffic to. Another basic one but with high influence is having the keyword in your URL. Doing this will help you rank better for the keyword you are targeting. This doesn't mean you need an exact match domain, i.e. www.yourkeyword.com, you can include the keyword in the full URL string, i.e. www.yourbrand.com/your-keyword. To rank well today you really do need to offer something of quality, particularly in highly competitive industries. Ask yourself, does my site offer something that is useful to visitors and is it different to my competitors? If the answer is no then think about how you can add the maximum amount of value to the person searching for the keyword you are targeting. A good first step for some companies is to create an FAQ which could help the user understand what the product / service is, how it can help them, how it works and how much it costs - all the questions you would want to know when purchasing something. Structured mark-up is a technique used to provide information to search engines on how you would like your site represented in results. 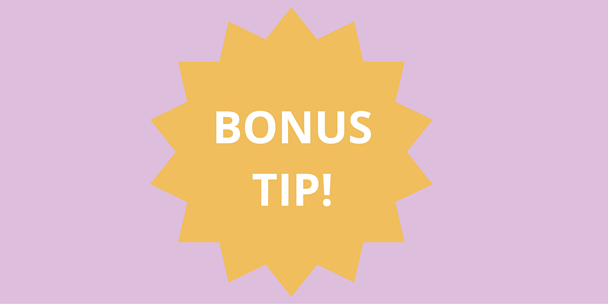 If done correctly, key information will be presented in the results page to help the searcher and entice them to choose your page. Before search engines became more robust and advanced, people were able to 'game' them by stuffing keywords into their website to make it seem like it was very relevant. Whether that was stuffing the page copy itself, the footer and trying to hide it behind other objects. Not only do these tricks not work anymore and haven't for some time - they are very likely to get you penalised. As we have discussed previously, take time to write unique content and design your pages for maximum visitor experience first and foremost, there are no shortcuts! A sign that your website is of poor quality is when it is seen to feature links to 'spammy' websites. When you put a link on your domain, Google sees this as a considered decision to give said site a vote of confidence. If the site is 'bad' in Google's eyes, this bleeds through to your domain by association. 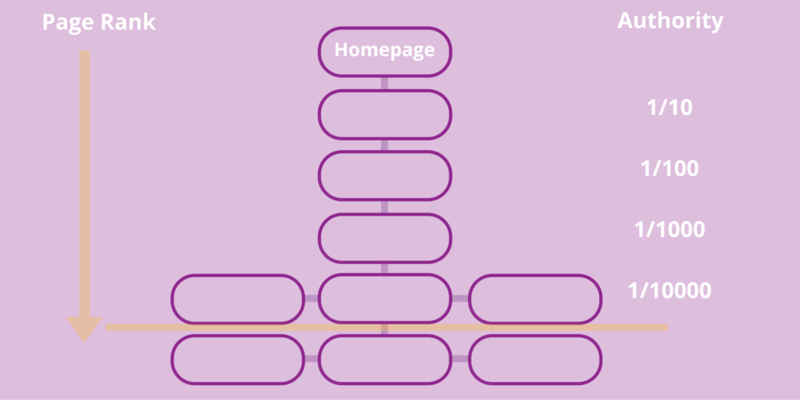 This doesn't mean you should stop linking out from your site, the web is built on links. As you have seen I have linked out to dozens of sites in this post. Just don't associate yourself with the wrong sites and you'll be fine! “Yes, we all know Google doesn’t actually use meta descriptions in terms of rankings anymore, yet they can still be a ranking factor. 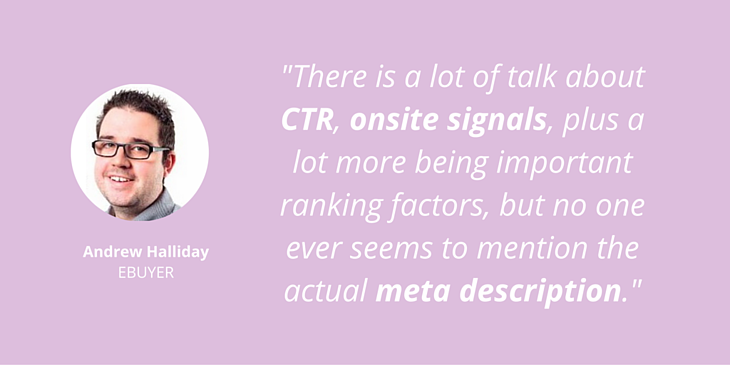 There is a lot of talk about CTR, onsite signals, plus a lot more being important ranking factors, but no one ever seems to mention the actual meta description. This is really the first thing a potential visitor sees about your brand. If it’s boring and badly written; who is going to click through? Whereas if you have a great description that stands out and accurately reflects the content of the page, the user is going to be happy, which then affects the rankings, as your CTR increases, you get lower bounce rate, and more interactions etc. These are all positive signals to Google. An issue facing site owners is that different meta descriptions can’t easily be tested in organic search. However, this is where your friends over in the PPC team can really help you out. For any page on which you want to improve the meta description use your SEO tools to discover all the keywords the page ranks for. Then create a new campaign in Adwords using all those keywords. Create several different ads and measure the impact on CTR. All other factors including Revenue, Cost of Sale, ROI can be ignored. In this instance you are only looking for CTR. The ad with the best CTR becomes your new meta description. Do you want to take all this knowledge with you? 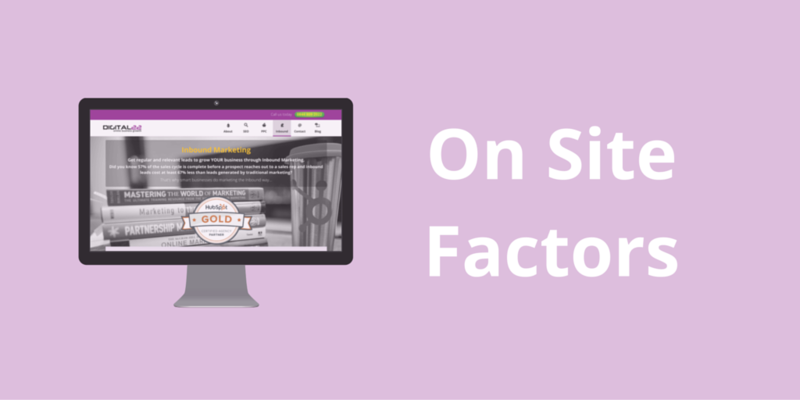 We've compiled ALL our ranking factor knowledge into the following FREE download. What is Google RankBrain? Should we be afraid?